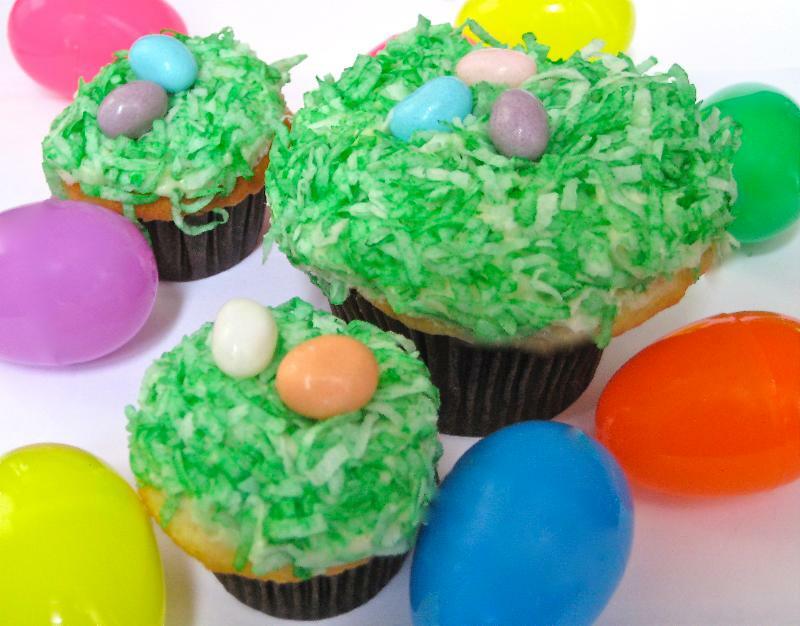 Chicago's Sugar Bliss Cake Boutique is serving up some special Easter cupcakes (they will be closed on Easter Sunday and are open Saturday 9 am to 3 pm). Visit www.sugarblisscakes.com for more information. Regular size cupcakes are $40/dozen and mini cupcakes are $15/dozen. These Easter basket cupcakes are available from today through April 3rd. They are: "Vanilla Coconut and Chocolate Coconut cupcakes topped with green coconut shavings and topped with jelly beans." 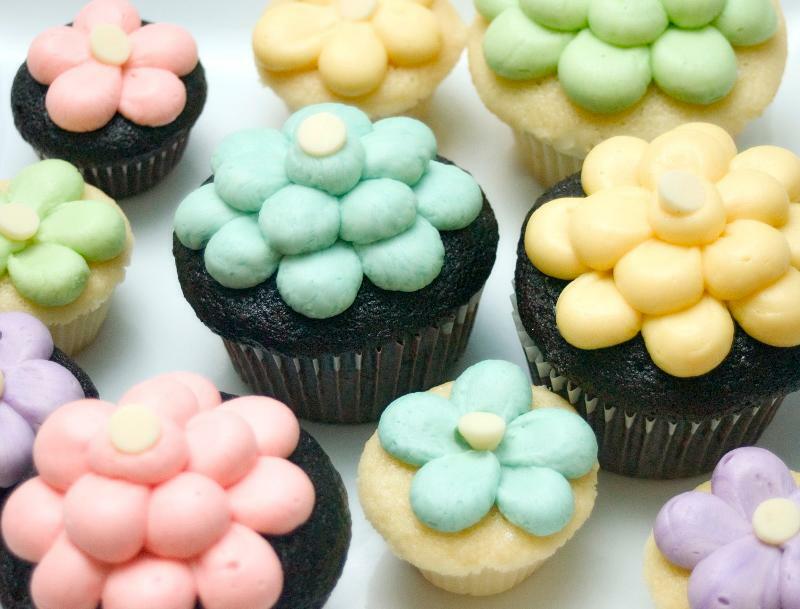 These spring cupcakes are also available through April 3rd: "Black & White and Vanilla Vanilla cupcakes with pastel vanilla buttercream." You can also follow Sugar Bliss Cake Boutique on Facebook and Twitter and on April 6th at noon can catch owner Teresa Ging at noon at Macy's State Street offering a dessert demo using KitchenAid. They're also eco-conscious: they sell a $5 tote bag that holds up to a dozen mini cupcakes and if your bring it back for a cupcake refill you get 20 cents off your order and as we all know, every penny counts.